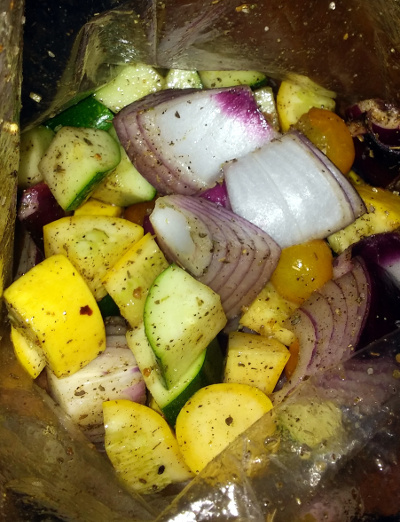 and the rest with some olive oil and lemon juice on the veggies. 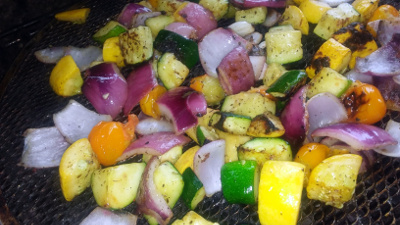 This guy chopped the veggies coarsely, and became my guide to cook times! 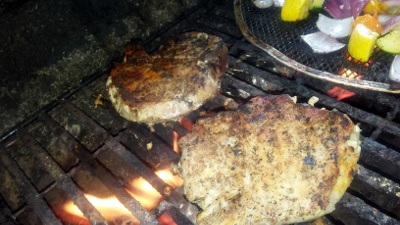 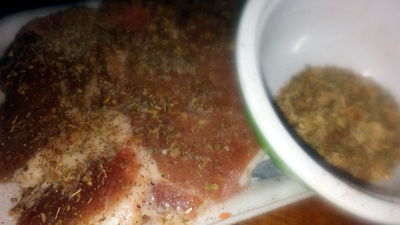 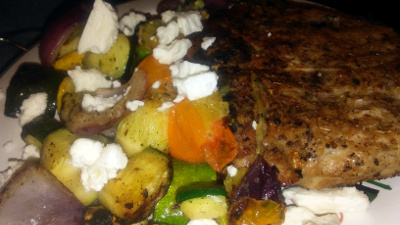 Gotta say, the juiciest pork chops in quite a while – yum!